4. Textile marker or any textile paint, or embroidery floss. 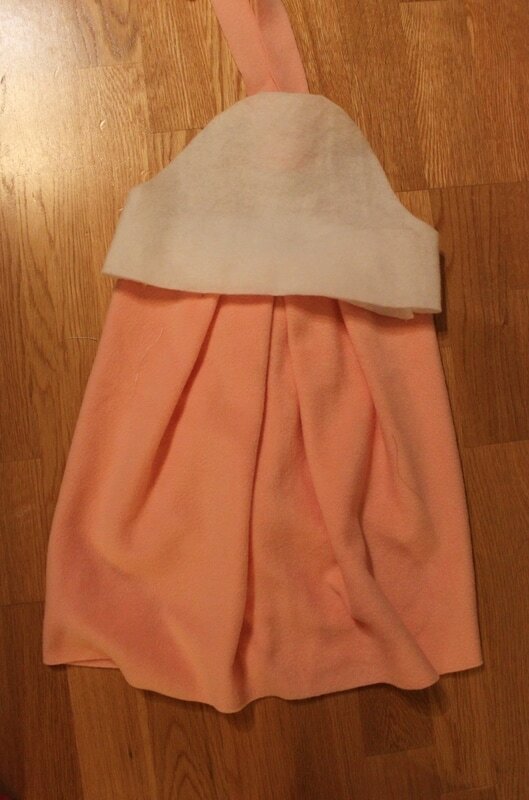 First, measure the person who is going to wear the dress. 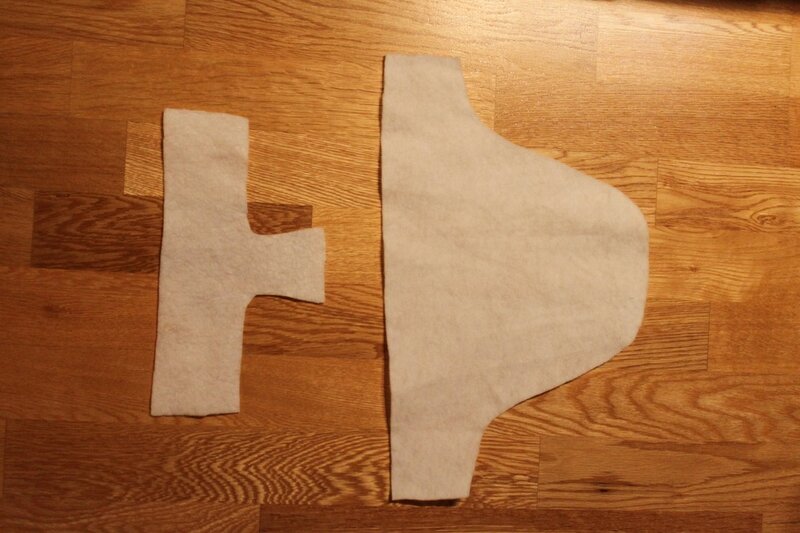 You will need two pattern pieces for the front and back of the dress, as shown below. 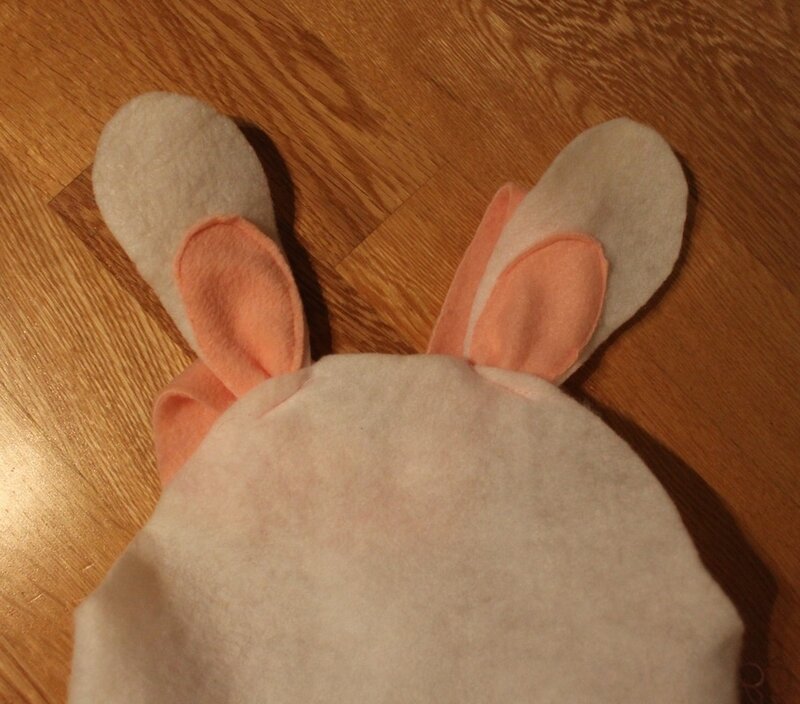 Make the front piece longer, and the back shorter, so you don't see stitches when you face the little bunny-to-be. Stitch front and back together. 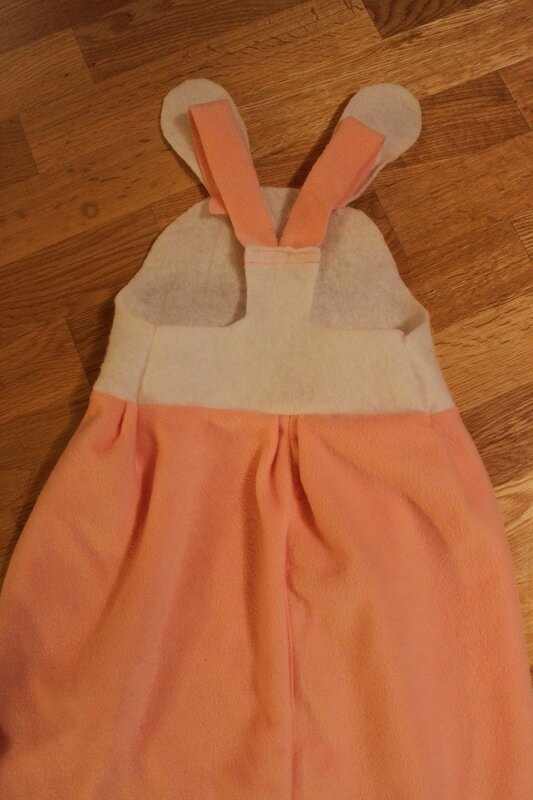 Cut long straps and sew to the back piece. 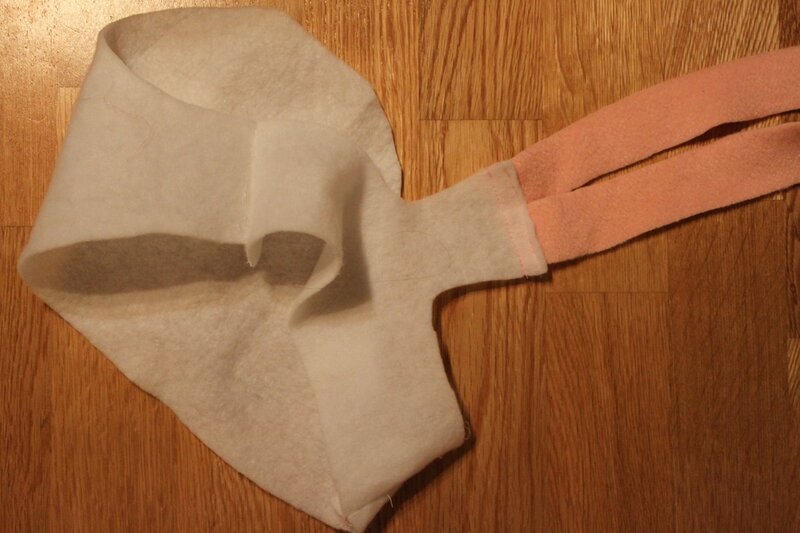 Note, my material doesn't fray, so everything is much easier. 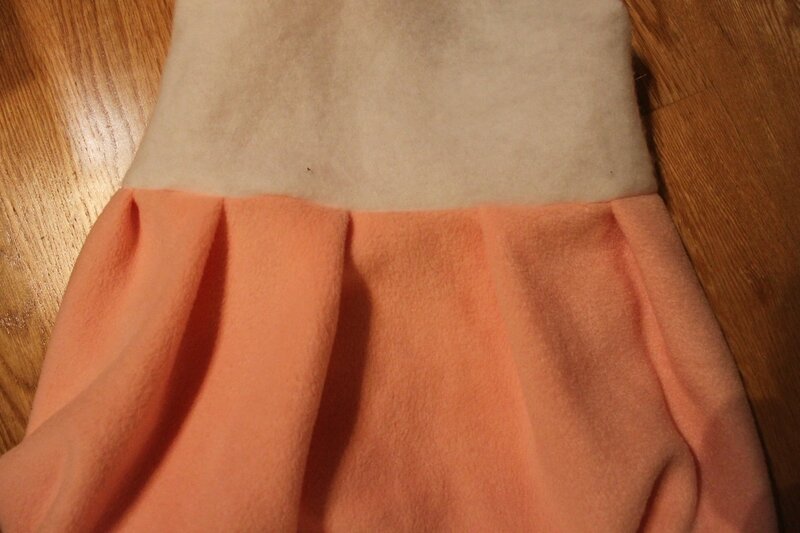 Measure a skirt from a (preferably) different colour fabric. 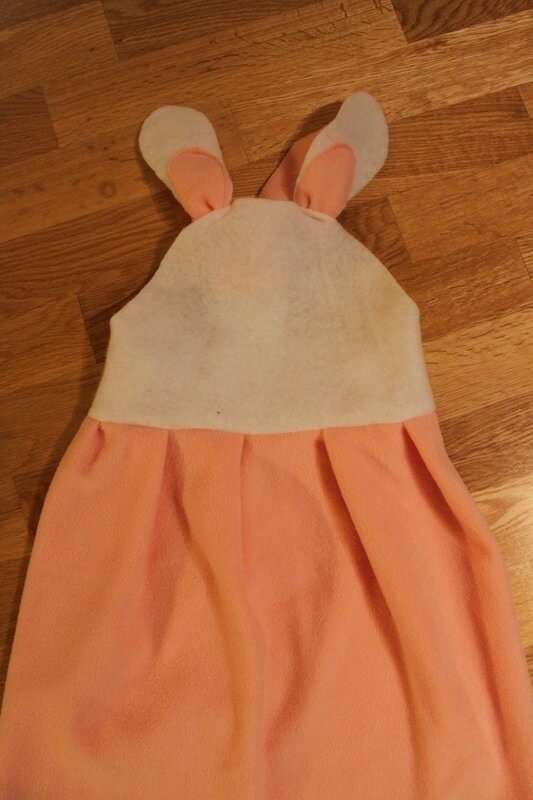 Pin and sew to the top part. 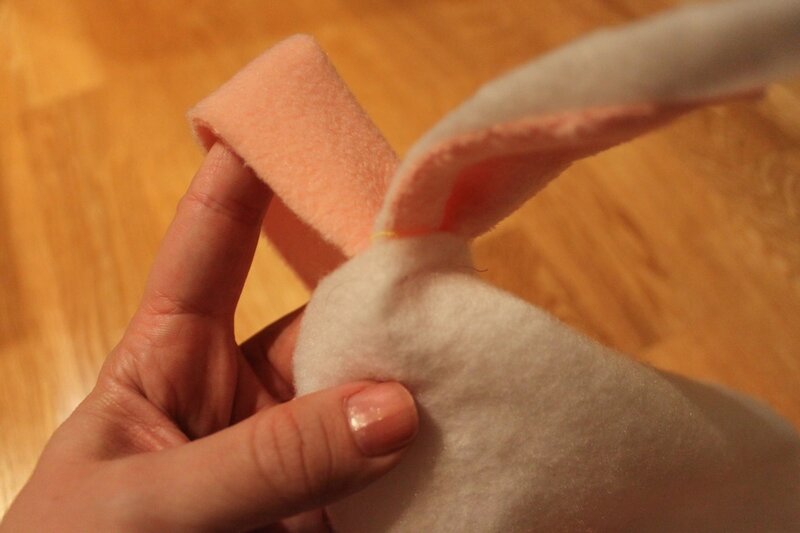 Cut out little bunny ears from the two colours' fabric that you have used so far. 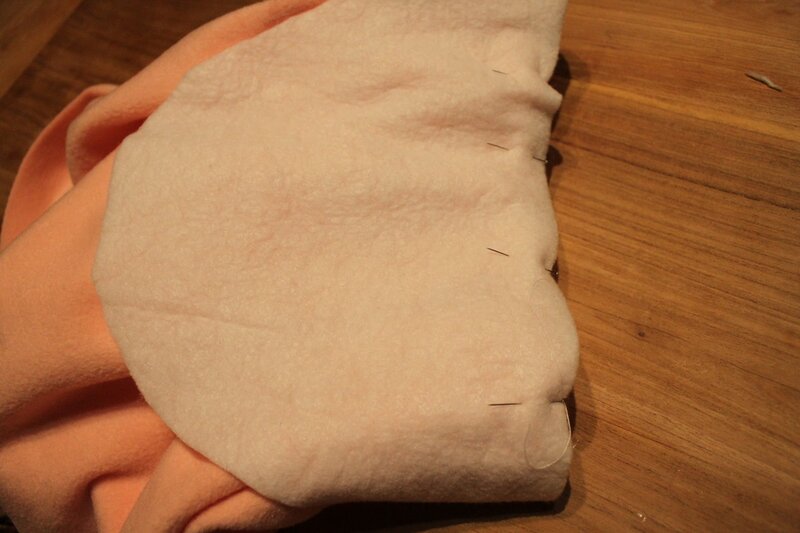 Sew to the top, together with the straps, as shown. 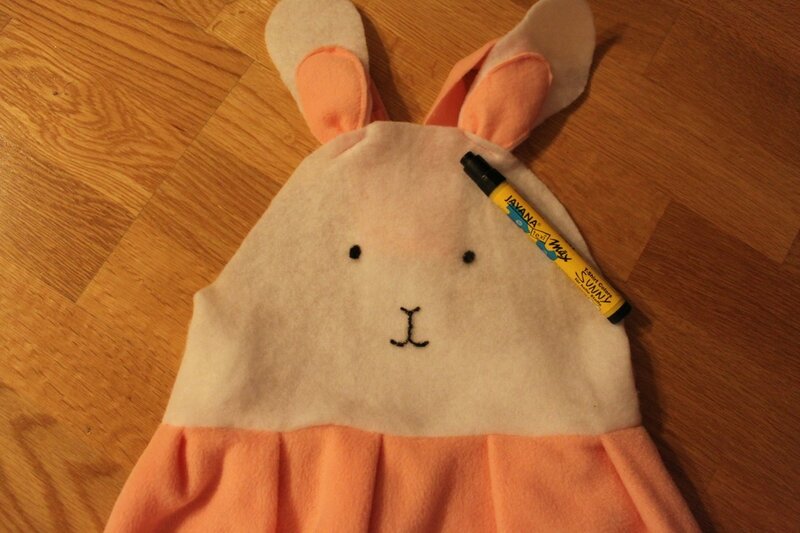 Draw/embroider some cute bunny features. 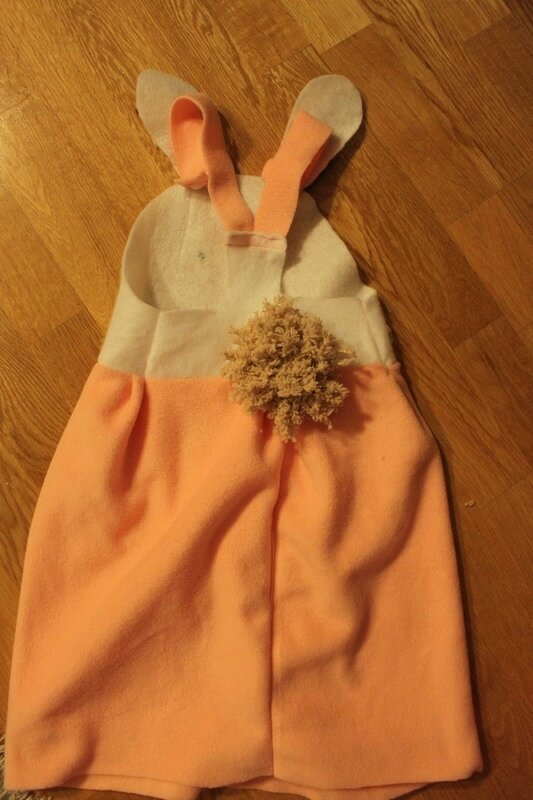 And add a little pom pom tail. You are done! 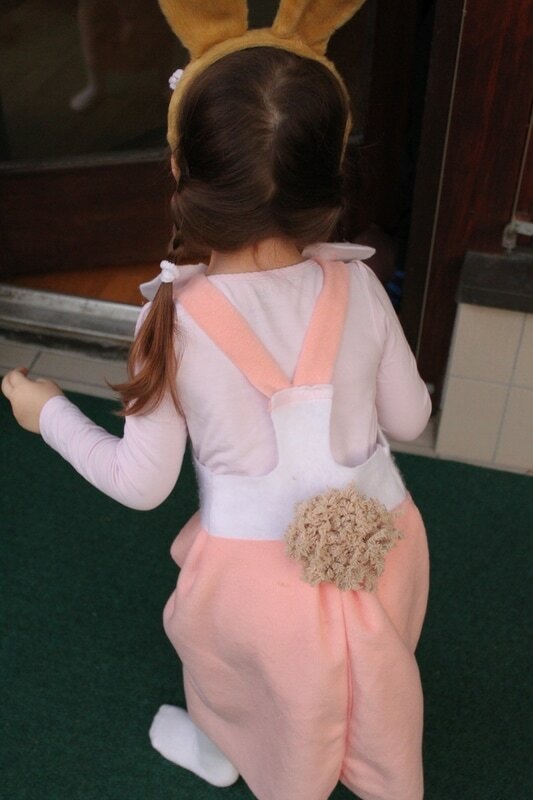 Fast and easy, your bunny costume. 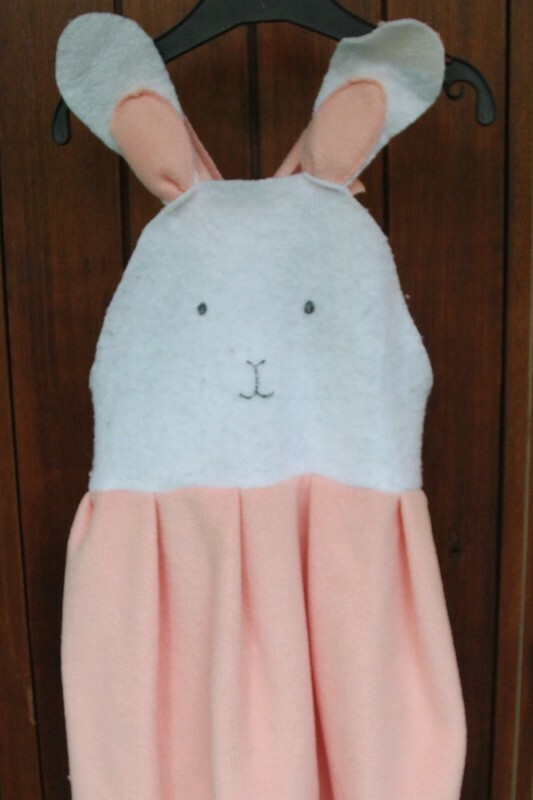 For Easter. Or Halloween. 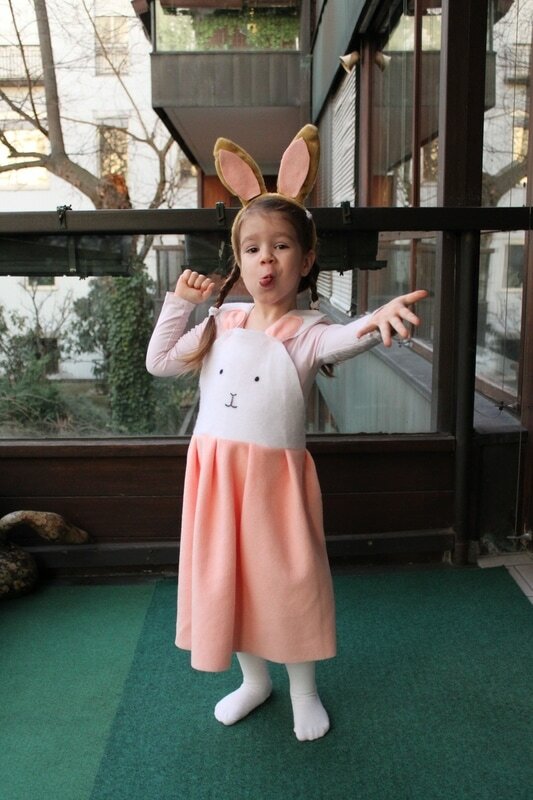 Or Fasching. Or home. Enjoy!